I had the pleasure of attending Fred Korman’s workshops at the Las Vegas Music Festival. His warmth and sincerity immediately put all the participants at ease to openly discuss and explore their inner worlds as musicians and human beings. 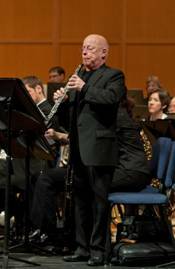 He is a true artist, not only on the oboe, but also in crafting an effective, non-threatening atmosphere where performers can benefit from self-awareness, and sharing common experiences. Without a doubt, The Motown Sound has left an indelible stamp on the heart, soul and mind of several generations of fans worldwide. Over the years, many of the artists and writers responsible for bringing to the world this incredible body of work, have passed on. The music however lives on through movies, radio, television commercials, collectible CD's, dance halls, weddings and karaoke clubs. It's not just the songs but the memories associated with them that have forever imprinted the Motown Sound in the hearts and souls of music fans. Without even consciously realizing it, we all know every lyric, melody and instrumental phrases associated with the songs. So much so that if a live band plays the songs and leaves out any of these memorable licks, we know it and subconsciously add it in ourselves. That brings us to Paul Korman and his visionary quest to create the ultimate Motown tribute band. He has put together an amazing array of seasoned musicians and singers that he's either played with or wanted to play with over the years. Together they have become Dr. K's Motown Revue. This outstanding band of musicians and singers takes you on a very realistic journey of the Motown sound, and makes you want to sing along on every familiar song they play. They have kept the Motown sound true to its roots and each and every performance they do transports you back to another era and what a ride it is! Every audience, both young and not so young, can't help dancing to that Motown beat, often leaving at the end of the night asking where can they see and hear the band next. Their appeal in large part is attributable to the perfect blend of the Motown era costumes worn and the outstanding group of singers who compliment this latter day "Funk Brothers" type band of musicians. Each singer is quite capable of fronting any band as a soloist and the combination of singers is more than enough to deliver authentically the vocal sound of the Motown roster of artists from that time. The result is a powerhouse performance that adds not only to their reputation but to the reputation of any venue that books them. Remember the dynamic duo? No…not Batman and Robin. Paul and Fred Korman, of course. There’s an old expression…good things come in pairs. This pair are twins…sort of. Separated only by years, this unique combo share in a lot of ways. They grew up together displaying mutual likes and dislikes and, thus, their respective personalities are similar. A revolution might have resulted had there been sibling rivalry, but that did not exist. They grew up not competing, but, rather, complimenting each other. They shared a distribution of talent that ripened as they attained new heights. Similar in stature and looks, the two sustain a disciplined regimen of physical fitness that enables both to maintain hectic schedules. Fred tunes up his muscles in the weight room several times a week. His concern for his body accelerated after turning 50. “I’ve belonged to a gym for many years but didn’t get really serious until then. I am trying to stymie the inevitable,” Fred said. Paul, similarly, practices weight training and thinks nothing of riding his bike from Hicksville to Jones Beach . For those of you who have visions of trying it, don’t. Well, at least start on a small scale and work your way up to the “long” trek. Paul’s stamina is incredible and that’s a trait that doesn’t just happen. It requires years of dedication. Fred, the elder, was born September 14, 1946 at the Brooklyn Jewish Coney Island Hospital. Paul, the younger of the two was born in the same hospital on November 26, 1950. Their early years were spent living on Bay 32nd Street in Brooklyn . The Korman’s made a big move from Brooklyn to Levittown in 1958. While attending school there, the two boys’ dedication to music accelerated. Fred was molding his musical talent while Paul was learning the basics. The perseverance of both young men enhanced their ability to excel. They moved to Hicksville several years later. Fred became a member of the Hicksville High School orchestra as an oboist. His proficiency earned him a spot as a soloist with the Leonard Bernstein Young Peoples Concert at Carnegie Hall at the age of 16. 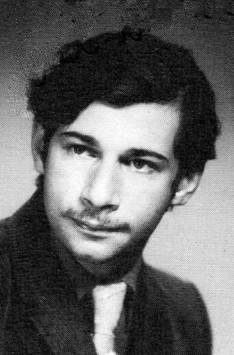 He was also an active member of the Long Island Symphony Orchestra while in high school. 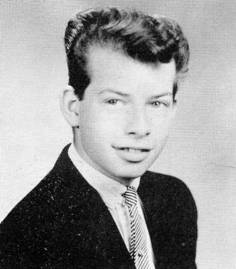 Paul completed his high school education and was graduated in June of 1969 from Hicksville High. He attended Nassau Community College while continuing an active role in music. His maturity in music continued to expand in the 70’s. It was 1964, however, in junior high school, when Paul and three of his friends formed a band. They affectionately called themselves the “4 Teens, not original, but then, they were teenagers. The highlight of the year was their premier performance at the World’s Fair. That was his first test in a professional arena. Paul became involved in the plumbing and heating supply industry after college. He worked for Ben Golden Supply in Westbury as a salesman. He eventually began working for a manufacturer’s representative firm, the William Near Agency. This platform laid the groundwork for Paul who had his own business, The Paul L. Korman Sales Agency. Paul is active in the metropolitan New York area as a representative of several national vendors. Paul is divorced and has a son, Matt. Following his stint with the New Orleans symphony, Fred continued his pursuit of a musical career playing in the Hartford symphony orchestra. Fred would eventually join the Oregon Symphony as principal oboist in 1978. That means that Fred plays all the solo parts for oboe and he also plays the first note that the orchestra tunes by. You might say that his attendance at Julliard and the Hart College of music paved the way to this notable accomplishment. 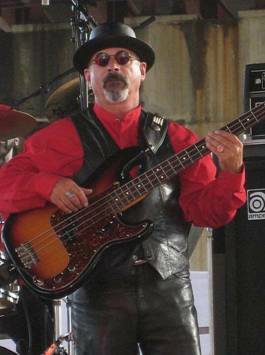 Several years ago, Paul was the featured performer on Buffalo Bob’s Doo Wop Shop. His appearance there is touted as a “tour-de-force performance. His renditions of many popular masterpieces left the author speechless. His bass was booming. Fred has always been extremely interested in psychology. He was the author of a four-hour workshop called, “Enjoying the Note You’re On.” His forte is teaching stress management to other performers, mostly musicians, though his auspices extend to other professionals, including athletes and writers. And how about “Coney Island Korman,” my affectionate name for Paul. I bet you didn’t know Coney was a big “Wheel” in New York . You would think the brothers had played together somewhere, sometime. Wrong. The first time the “dynamic duo” played together was years ago when they rented studio time and made a recording of their Mom’s four favorite songs in honor of her 80th birthday. She was totally surprised when they gave her this wonderful gift. Fred says he indulges in an occasional bacon cheddar cheeseburger, but, for the most part, maintains a sensible diet that avoids most red meat. His comment, “I want to stay as fit and youthful as I can with a reasonable amount of effort. Don’t we all?